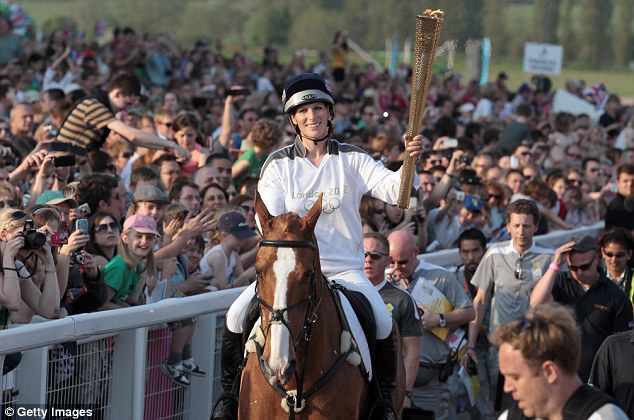 All eyes were on Zara Phillips as she joins Day 5 of the Olympic torch relay at Cheltenham. 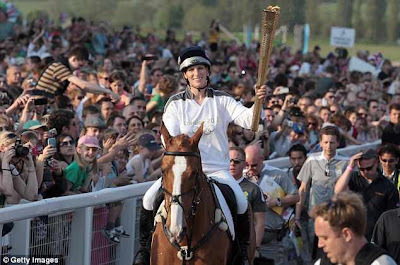 Phillips, only daughter of Princess Anne, was wearing the white and grey torchbearers uniform while riding her beloved horse, Toytown. More than 16,500 people watched the event, greeting Phillips along the way. Princess Anne was there to cheer for her daughter. Zara Phillips is an accomplished equestrienne, winning gold at the Eventing World Championships in 2006.